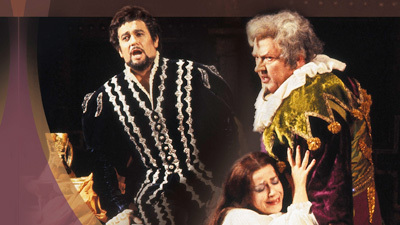 Verdi’s riveting drama features Giovanni Meoni in the title role of the hunchbacked jester who does everything in his power to protect his innocent daughter Gilda (Nino Machaidze) from the cruel and superficial world of the licentious yet charismatic Duke of Mantua (Joseph Calleja). 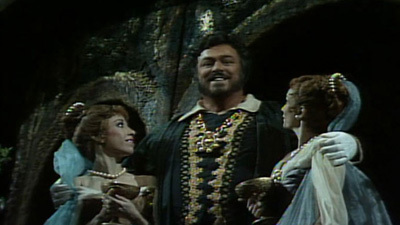 But when Gilda falls in love with the Duke, Rigoletto is powerless, and things get out of hand—with tragic consequences. 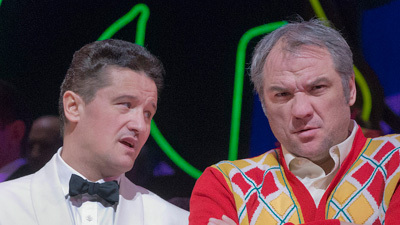 Štefan Kocán co-stars as Sparafucile.